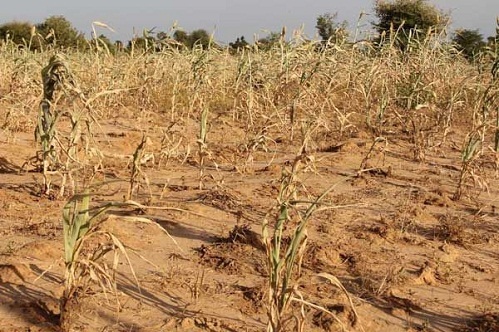 This is what happened in the Sahel region of Africa last year when massive drought struck. The UN World Food Programme (WFP) in Burkina Faso says this caused many families to move to mining zones to find work. Their children would have to work too, meaning they would have to drop out of school. As 2013 unfolds school meals are still vital in Burkina Faso and throughout the region. School attendance in Burkina Faso’s Sahel region as a whole is low. WFP wants to expand its program to reach 100,000 children this year as it continues to help Burkina Faso recover. In time this program can help build a national school meals program, such as we have here in the United States. Article first published as School Meals Vital to Recovery in Burkina Faso on Blogcritics. There are reports of rebel forces carrying out executions and amputations of civilians. In the conflict-affected areas food and fuel are in short supply. Over 230,000 have been displaced inside Mali while over 140,000 people have fled to other countries in the Sahel region of Africa. Mali and its neighbors have suffered recently from drought so these are countries already in a weakened state. Critical to war and drought relief is feeding programs, especially those for children who are the most vulnerable to malnutrition. The UN World Food Programme is running an emergency operation which provides “food assistance, nutritional support and emergency school feeding to 564,000 vulnerable people affected by the crisis.” This includes Plumpy’Sup, a peanut paste used to prevent deadly malnutrition in children under the age of five. WFP is in desperate need of funding close to US $ 200 million dollars for both its operation inside Mali as well as relief for refugees who have fled to other countries. The McGovern-Dole program, named after former Senators George McGovern and Bob Dole, is also funding school meals for children in Mali. Catholic Relief Services (CRS) received the funding and provides the food. Helen Blakesley of CRS says the program is feeding more than 75,000 children at primary and secondary schools in the Mopti and Koulikoro areas. The McGovern-Dole program will have its future funding decided in the US Congress soon. The program in Mali is an example of what a difference this humanitarian aid can make. Article first published as War, Drought, and Hunger in Mali on Blogcritics. The Sahel includes the countries of Mali, Niger, Mauritania, Burkina Faso, Chad, Cameroon, the Gambia, and Senegal. Drought and conflict have caused food shortages, and families can survive only with humanitarian aid as they await the next harvest. There have been some good rains recently to encourage the growing of food. These same rains have also produced flooding that has impacted over a million people in the Sahel. The US State Department is alarmed by the increasing violence in Northern Mali and is urging a resolution to the conflict, stating, “We repeat the call on armed groups in northern Mali to renounce any connection with terrorist groups and enter into legitimate political negotiations on the basis of Mali’s territorial integrity.” There is significant fear of what may lie ahead should the chaos and hunger continue to proliferate in Mali and throughout the region. The World Food Programme says it is feeding over 200,000 refugees in the surrounding countries. This includes Mauritania which is hosting over 100,000 refugees while struggling with its own hunger crisis. The charity Save the Children is urging support for the refugees to prevent malnutrition in the camps. The children need food aid and also psychological and educational support to help them deal with the trauma. Nutritional support for the smallest children is crucial in this crisis The lack of food for children under five years of age causes severe and irreversible physical and mental damage. Surveys being conducted right now by aid workers show high acute malnutrition rates in Senegal, Chad, Niger, and Mauritania. Save the Children says that throughout the Sahel over one million children are at risk of severe malnutrition. A special food called Plumpy’Nut can save the children from the lifetime damage of malnutrition. Save the Children estimates that 1.5 million cartons of Plumpy’Nut are needed in the Sahel but funding is the issue. Aid agencies are voluntarily funded. Providing food for children at school is a way to boost recovery for entire communities. The food offers an incentive for parents to send children back to school so it accomplishes both nutritional and educational objectives. The World Food Programme hopes to resume school meals in the coming weeks in several Sahel nations. But will the funding and food supplies be there to allow these important programs to be carried out? In Mauritania, WFP is reporting a slight delay in its school feeding program due to food supply difficulties. WFP is planning a major expansion of its school feeding in Mali. Aboubacar Guindo of WFP says the expansion will mean doubling the number of students it feeds in the Southern part of the country. He adds that the funding has yet to be secured. Aid agencies need support from both governments and the public. What could be more devastating than not enough resources being dedicated to saving lives? WFP reports “a funding shortfall of US$ 300 million” for the region. Also a special operation for logistics in Mauritania remains completely underfunded, which could harm the delivery of aid. 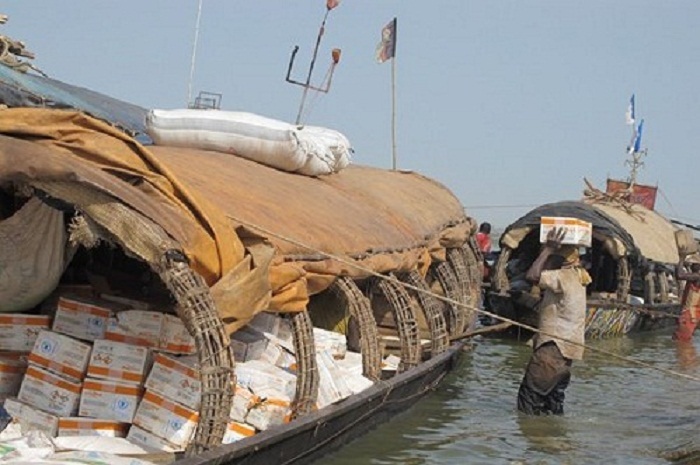 WFP provides not only food but also logistical and technological support to improved aid delivery. The WFP Emergency Telecommunications cluster, for instance, has developed a radio system which will be implemented in Northern Mali to help improve coordination for the relief effort. Recovery from one major drought is difficult enough. In the Sahel there have been a succession of droughts and the low resistance levels of the communities involved is a major reason for the crisis. Aid agencies are trying to find a way to provide emergency aid but also plant the seed for future food security. 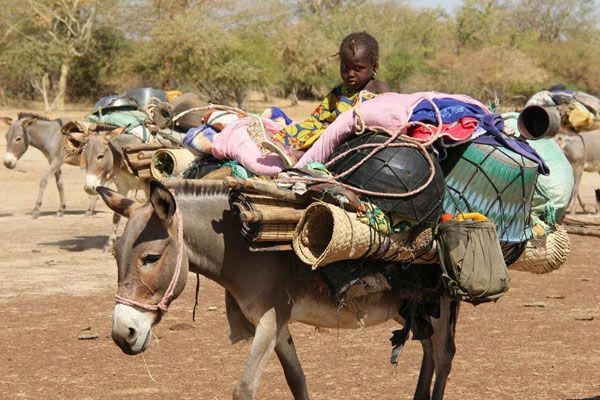 UNICEF says it’s only received 28 percent of its 58 million dollar emergency appeal to help conflict-torn Mali. The charity is providing nutrition, water, vaccinations and medicine to children suffering from the conflict and poverty. A coup followed by a rebellion in Northern Mali has caused hunger and displacement for many thousands of families. Drought has also struck throughout Mali intensifying hunger and poverty. Families in Mali normally rely on stocks of food to help them through the summer lean season between harvests. These stocks would come from previous harvests. The drought though has meant far less food reserves to draw upon. Some reports show that families are resorting to eating cooked leaves. When drought hits families who are already living in poverty the impact is devastating. Save the Children is working to rescue the most vulnerable in this hunger crisis. The charity is facing low funding having not achieved 50 percent of the fundraising goal for Mali. Save the Children is supporting health centres which are treating these malnutrition cases including Aissaita. Without funding it will be difficult for Save the Children to carry on this work. To donate to Save the Children visit their West Africa Hunger Crisis Fund. For more information on UNICEF in Mali visit their web site. The United Nations World Food Programme (WFP), the world’s largest humanitarian agency, has started a relief fund for the famine-threatened Sahel region of West Africa. Unless humanitarian aid is rushed in, eight countries which make up the Sahel region are at risk of mass starvation. Individuals can donate to these funds and help save lives in the eight Sahel countries which have suffered a massive drought: Niger, The Gambia, Mauritania, Mali, Burkina Faso, Senegal, Chad, and Cameroon. The lean season, or period between harvests, runs through September. Severe drought, though, has drastically reduced the amount of food farmers can produce, leading to shortages and high prices for any available supply. Conflict in Northern Mali has created a refugee crisis which is adding to the disaster in the region.WFP is pleading for funds as it plans to feed over nine million people in the Sahel. The smallest children are most at risk because they need nutrients at this early age or they will suffer lasting physical and mental damage. When the malnutrition reaches its severest, children will die, as is already happening in the Sahel. Special foods like plumpy’nut can save children’s lives, but low funding for humanitarian aid often prevents enough supplies from being deployed quickly enough into the field. If the world would act faster, and more consistently, famines could be prevented. Last year the world waited too long before responding to the hunger crisis in the Horn of Africa. Massive drought struck Somalia, Kenya, and Ethiopia, but it was not until summer was well underway that the world’s attention shifted significantly to the disaster. This year a similar tragedy awaits West Africa unless the world responds now. You can donate to the relief funds at the World Food Programme and Save the Children. 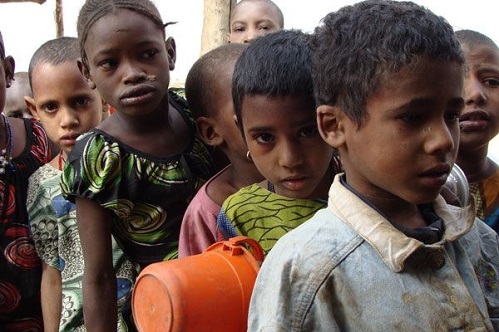 See a series of articles on the Sahel Food Crisis. 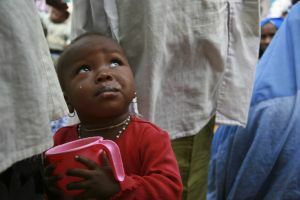 Article first published as UN, Save the Children Start Famine Relief Funds for West Africa on Blogcritics. This Memorial Day is a time to remember lost loved ones. It’s also a time when people can rally to save the lives of millions of people threatened by starvation in the Sahel region of Africa. A severe drought has ruined food supplies in this part of West Africa, which includes Niger, Mauritania, Mali, and five other countries. Conflict in Mali has created a refugee crisis; small children have already starved to death as a result of the food shortages. Aid agencies do not have enough resources to defeat the famine. How can someone help? Do exactly what General John J. Pershing did after World War I. That war, in which he commanded American forces, produced a massive food shortage that threatened millions with starvation in Europe and other areas. Pershing co-hosted a fundraising dinner along with Herbert Hoover who ran American relief efforts during and after the war. A chair was placed at the table signifying an “invisible guest,” one of the hungry and suffering. Funds were collected at the dinners through the cost of the plate and also additional contributions. The money funded the work of the American Relief Administration overseas, the agency that led the fight against the other enemy of the World War I- Hunger. Today, Memorial Day offers an opportunity for people to have their own “invisible guest” event. If it leads to a donation of even the cost of one Memorial Day cookout meal, it can save a life. The UN World Food Programme has started a relief fund where people can donate to the Sahel relief effort. Save the Children also has its own Sahel relief fund. Both offer great opportunities to feed an “invisible guest” this Memorial Day. Article first published as This Memorial Day You Can Save a Life In Famine-Threatened West Africa on Blogcritics.